WHAT A WEEKEND! THANK YOU TO ALL WHO PARTICIPATED! 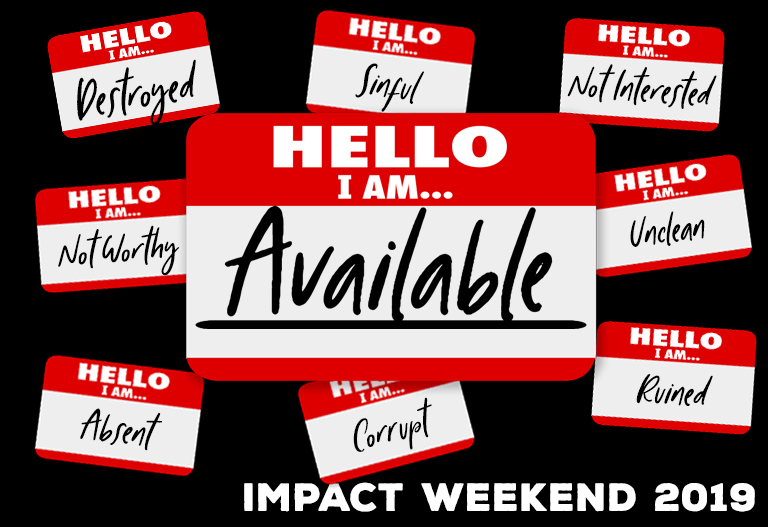 Impact Weekend is our premiere local Youth Event for the year. Students are challenged to go further, deeper and higher in their relationship with God through this concentrated weekend of study, discussion and worship. It is much like a retreat weekend, but it takes place right here in San Marcos. The youth gather at the church on Friday evening for a meal and a time of worship. Then all students go in school grade groups to a host home provided by members of our church or the church they are attending with. At the homes, a college leader will lead them in games and devotional times. They youth will return for worship and fellowship at the church on Saturday morning and evening. Saturday afternoon is an exciting time of recreation for everyone.This is not a weekend you want to miss. Check out our video from 2018! The theme this year was “Available” taken from Isaiah 6:1-8. We welcomed Mike Satterfield here as our speaker for the weekend and Tyler Daniel and band led worship. Many students made decisions that we pray will go well beyond this one weekend. Now, we embark on the busy and fulfilling task of discipleship and walking with Christ into the year ahead. 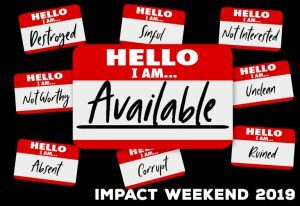 Won’t you join us on Sundays for Sunday School, Wednesdays for Youth Takeover and other calendered events for students as you can? We’d love to continue what the Lord did with this weekend. Join us! Thanks again to ALL who were involved with making this weekend a reality.